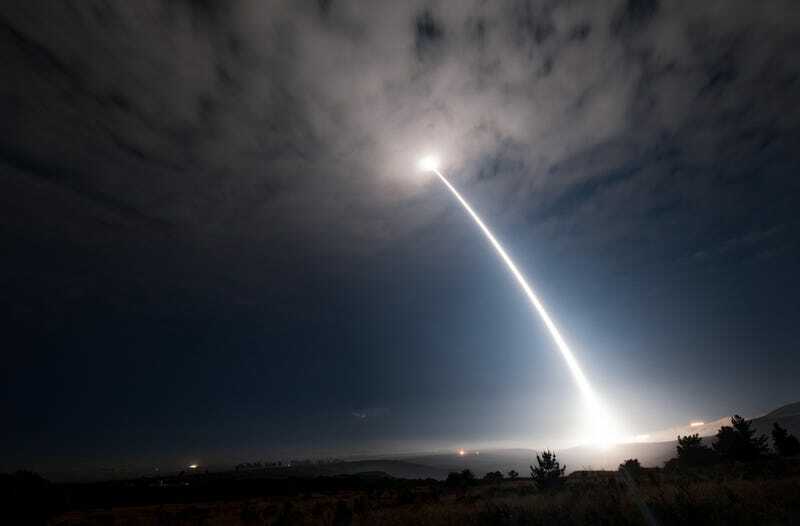 The US Air Force successfully launched an unarmed intercontinental ballistic missile (ICBM) from Vandenberg Air Force Base in California this morning at 2:10am local time, 5:10am Eastern. The missile test, conducted with a Minuteman III, comes on the heels of North Korea’s second successful test of an ICBM. The Air Force insists that the missile test has nothing to do with North Korea, but virtually every missile test over the coming months will be viewed through that lens, as things become more heated between the US and the Korean dictatorship. North Korea is certainly paying close attention to every single test. The missile traveled roughly 4,200 miles to the Kwajalein Atoll in the Marshall Islands, according to an Air Force press release issued early this morning. 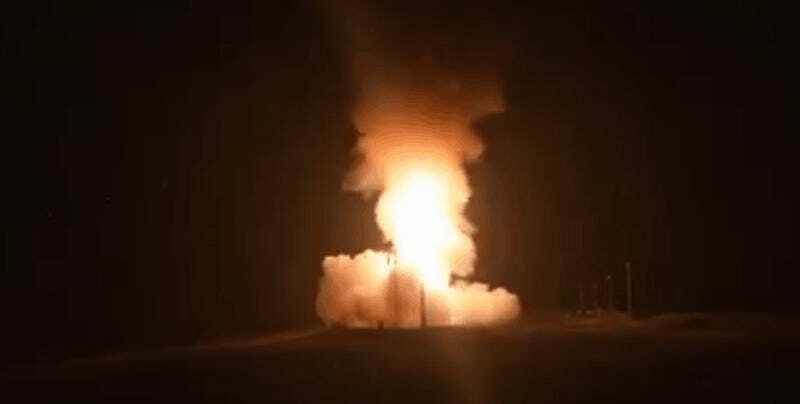 It was the fourth test of a Minuteman III in 2017, with previous tests occurring in February, April, and May. “This operational test launch highlights the commitment and outstanding professionalism of the 90th Missile Wing, the 576th Flight Test Squadron and our mission partners in the 30th Space Wing,” said Col. Dave Kelley, 576th Flight Test Squadron commander in a statement. “These test launches required the highest-degree of technical competence and commitment at every level and provide critical data necessary to validate the reliability, accuracy and performance of the ICBM force,” Kelly continued. The Trump regime has sent mixed messages to North Korea in recent days, as has been the case whenever the president’s message on Twitter conflicts with more diplomatic minds in the government. But that rhetoric contradicts somewhat the more nuanced talking points coming from Secretary of State Rex Tillerson, who insisted that the United States isn’t seeking regime change in North Korea. “We’re not your enemy,” Tillerson said during a press conference at the State Department yesterday. It was his first such press conference at the department since taking office. “We do not seek a regime change, we do not seek the collapse of the regime, we do not seek an accelerated reunification of the peninsula, we do not seek an excuse to send our military north of the 38th parallel,” said Tillerson in what could be viewed as a softening stance. The most recent North Korean ICBM test showed a capability for the country to potentially hit targets throughout the US, including major cities like Los Angeles, Chicago, and New York. But there’s broad consensus among experts that North Korea hasn’t developed the technology to miniaturize nuclear material so that it can fit on a missile with that kind of range. Most experts on the region agree that North Korea is still 1-2 years away from developing that kind of tech, but the question for current policymakers is what to do about it. Any bombing by US or South Korean forces in North Korea would likely be met with a strong show of force by Kim Jong-un’s regime. Even conventional weapons being used by North Korea has the potential to kill scores of people in nearby Seoul, South Korea. And the fact that the current US president is unquestionably the dumbest leader that America has seen in at least a century doesn’t give many people hope that he’ll choose a course of action that won’t get thousands, if not millions, killed. US commanders have repeatedly said that there are no good options for what to do about North Korea’s rising nuclear capability. But the big fear is that President Trump could still choose the worst of the admittedly bad options and start a war on the Korean peninsula. 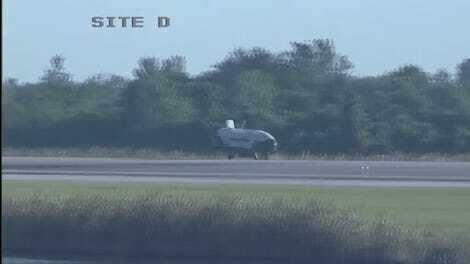 Update 7:50am: The US Air Force just released video of the launch.